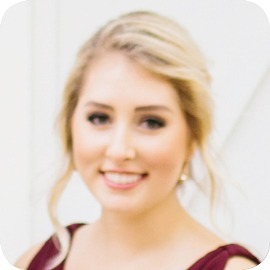 Kristin joins In The Lights with extensive knowledge in digital marketing, branding and design. As a #freelancerprodigy, her creativity has been steeped in the entertainment industry, and the results are delicious! She has done work for Contemporary Ballet Dallas, FirstCom Music, Platinum Sound Recording Studios, Wonda Music Label, indie-pop band Astro Lasso, “Dealers” TV series, Raising Cane’s Chicken Fingers, Hill Impact PR, Katour’s Luxury Salon (#freebalayageplease!) and more. She has re-branded over four companies which nominated her for a WeWork Creators Award in 2016. As a lover of all things arts and entertainment, Kristin is thrilled to be part of a team where she can use her past experiences and combine them with her passions. Kristin holds a BA in Arts and Entertainment Management with a minor in Commercial Dance from Pace University. She also sits on the marketing board for Contemporary Ballet Dallas and the Associate Producers board for Dallas Summer Musicals.